Back at Build 2016, the Windows team announced the Desktop Bridge, allowing developers to bring their existing desktop apps and games over to the Universal Windows Platform (UWP) by converting their app or game with the Desktop App Converter and then enhancing and extending it with UWP functionality. This enables the path to gradually migrate the app or game to reach all Windows 10 devices over time, including phones, Xbox One and HoloLens. Last month, along with the Windows 10 Anniversary Update SDK, the team also announced a process for you to start bringing these converted apps and games to the Windows Store for easier and safer distribution to customers. Now, the first apps are available in the Windows Store for Windows 10 customers running the Anniversary Update, which includes the Arduino IDE, Evernote, Virtual Robotics Kit, and several others. These are the same apps that customers know and love, but are now available for download in the trusted Windows Store. For your customers, the Windows Store is the safest and most secure place for them to find and manage content across a range of Windows devices, including PCs, phones, Xbox One and HoloLens. For developers, the Desktop Bridge enables you to make use of the new functionality available to UWP apps right out of the gate, including access to a host of new APIs like Live Tiles, Cortana and Action Center that provide best-in-class support for thousands of scenarios across all of Windows. Want to learn more? 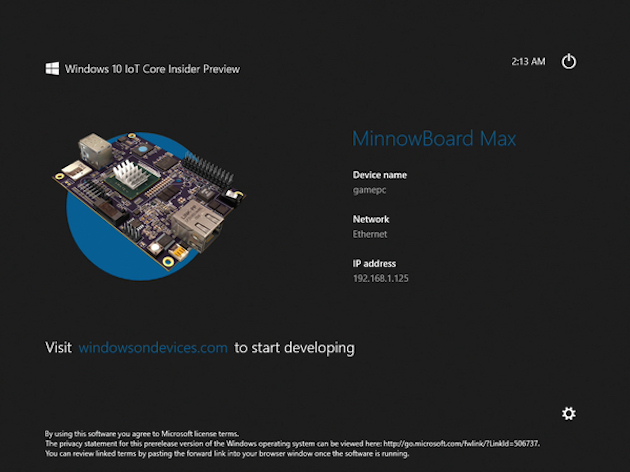 You can read all about the apps and tooling updates for the Desktop Bridge here. The Arduino sketch and Frtitzing diagram are available at the above link in case you would like to make one yourself.